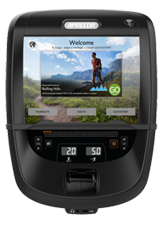 Preva®, brought to you by Precor, is a personalized fitness experience specifically designed and built to help exercisers achieve their goals. Through entertainment and motivation, Preva® encourages exercisers to succeed along their own personal fitness path. With Preva®, "making it yours works". • Enjoy your workouts more with internet feeds covering a variety of popular topics. • Save your favorite workouts so you can replay them at another time. • Create your own weekly goals based on calorie burn, distance, or workout duration. • Track your progress to goals and earn badges for your achievements. With the Preva® Mobile App, you can take the Preva Experience with you no matter where you go. • Log all of your fitness activity whether it is walking your dog or hiking. • Count that activity towards your weekly goals. • Share achievement badges with your Facebook and Twitter friends. 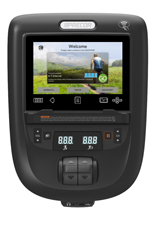 Preva® Tokens are RFID-enabled key fobs that make it easy and quick for exercisers to sign into their Preva accounts. 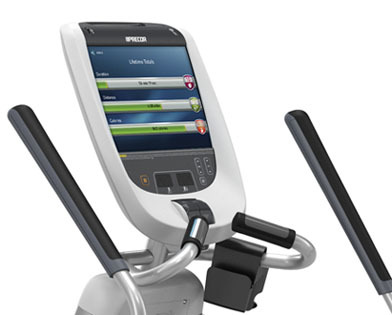 Just a simple swipe or tap of the Preva Token on the console reader immediately signs the exerciser into his or her Preva® account.